From September 1st till up to September 7th we had participated at the conference Numerical Algorithms in Plasma Physics. We had been members of the organizing committee of the conference. 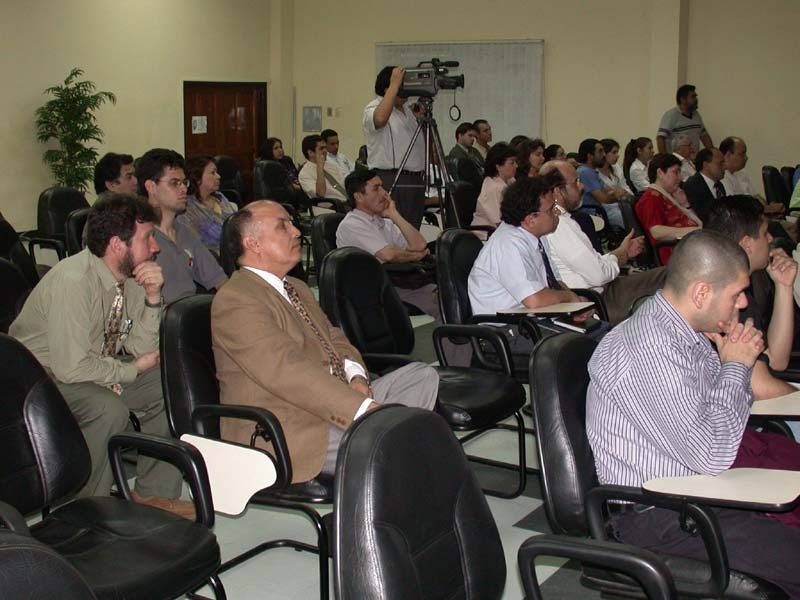 In frame of the conference a number of interesting meetings with Paraguayan scientists and prominent personalities had occurred, e.g. with prof. D. Z. Arellanem (rector of the university), prof. A. 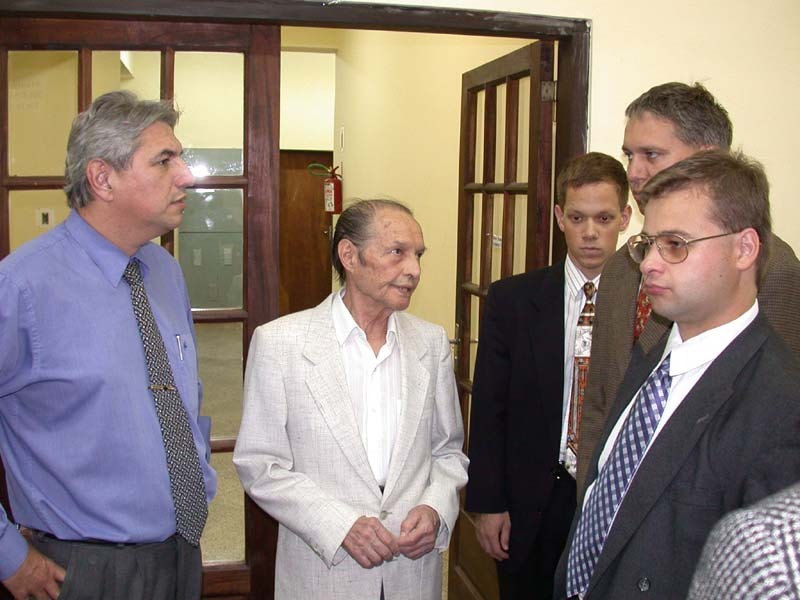 B. Castill (dean of the Polytechnic Faculty), and prof. Blas A. Servin (astronomer carrying on a small planetarium in Asuncion). 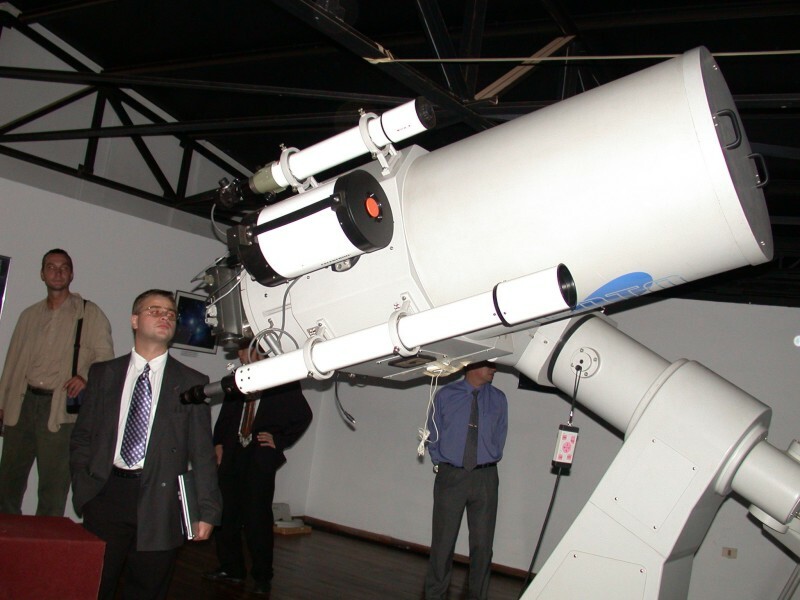 We had met employees of the University observatory, president of the Paraguayan Academy of Sciences and many other scientific researchers. 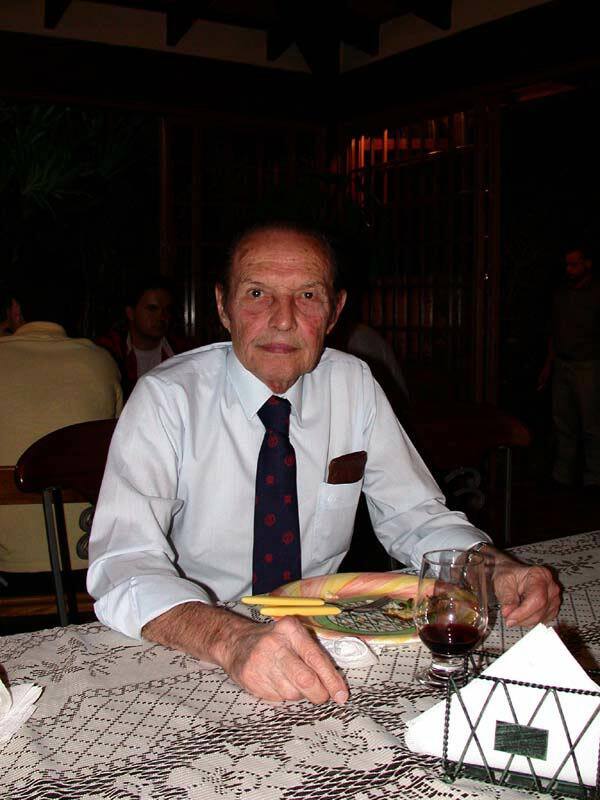 Special thanks belongs to Dr. Persia da Silva for his outstanding care of our group and consul Dr. Jindřich Prouza for significant endeavor in realization of the conference. 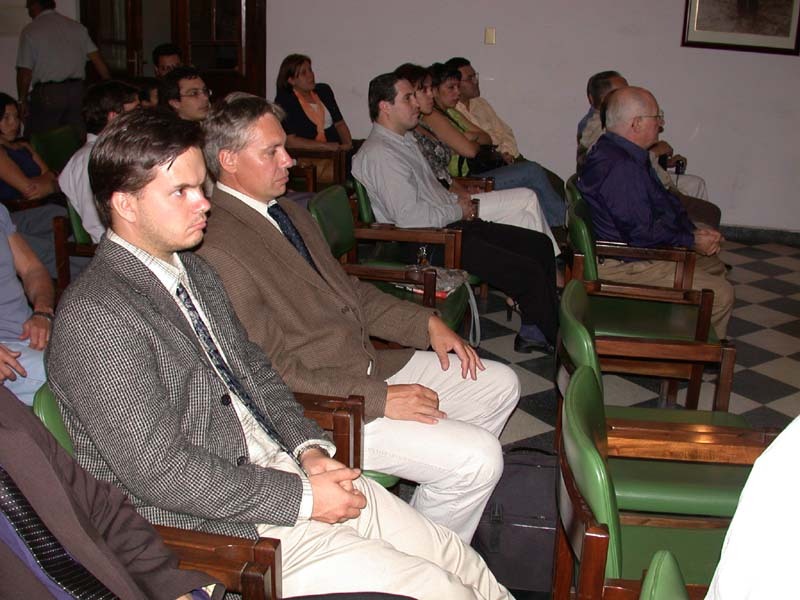 Within the scope of the conference two our lectures had been realized: Peter Kulhanek - Plasma Universe and Auroras (Universidad Nacional de Asuncion), Jacob Rozehnal - Brown Dwarfs and Extrasolar Planets (Paraguayan Academy of Sciences). 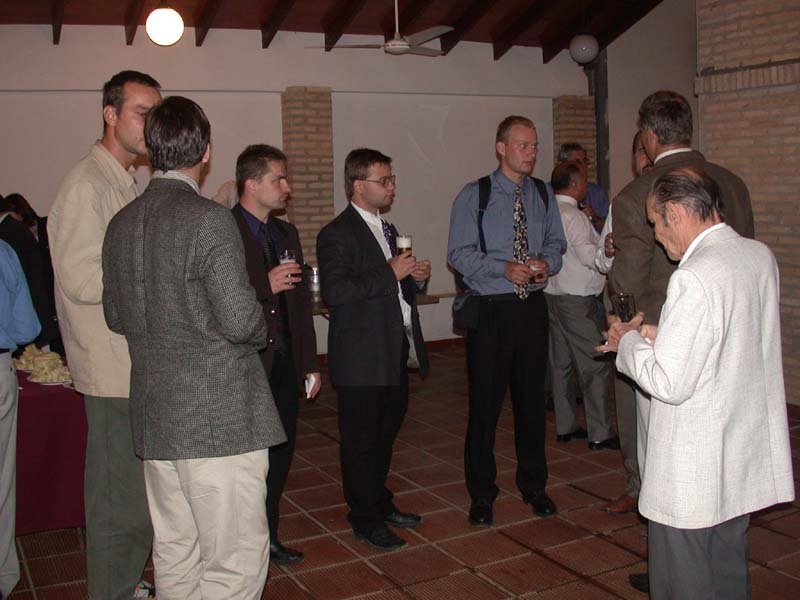 During the conference a great number of informal meetings had been established. As an example let us remind the warm reception in the Arch. Antonin Chytil residence. 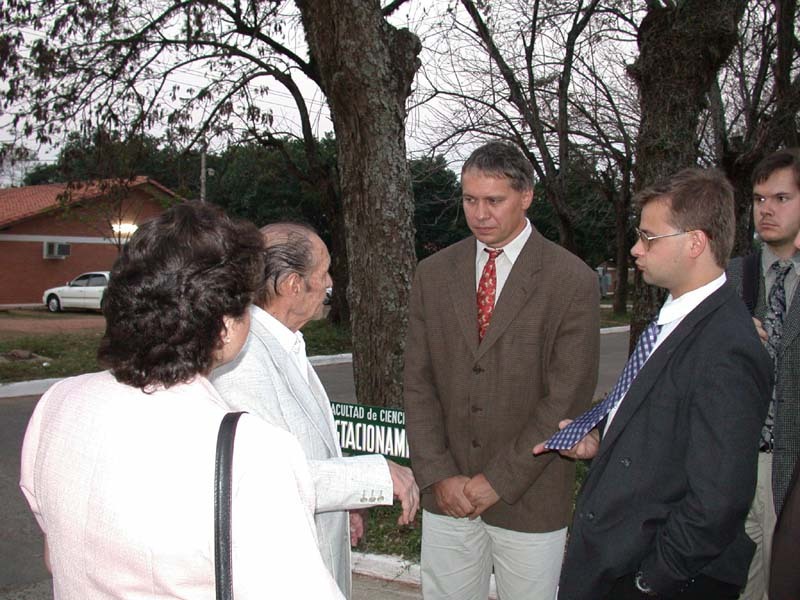 Mr. Chytil is the leading representative of the Czech community in Paraguay. We also visited a private collection of Mayas and Incas civilization of interminable value. In the collection, gold items from the pre Mayan period, were also included. 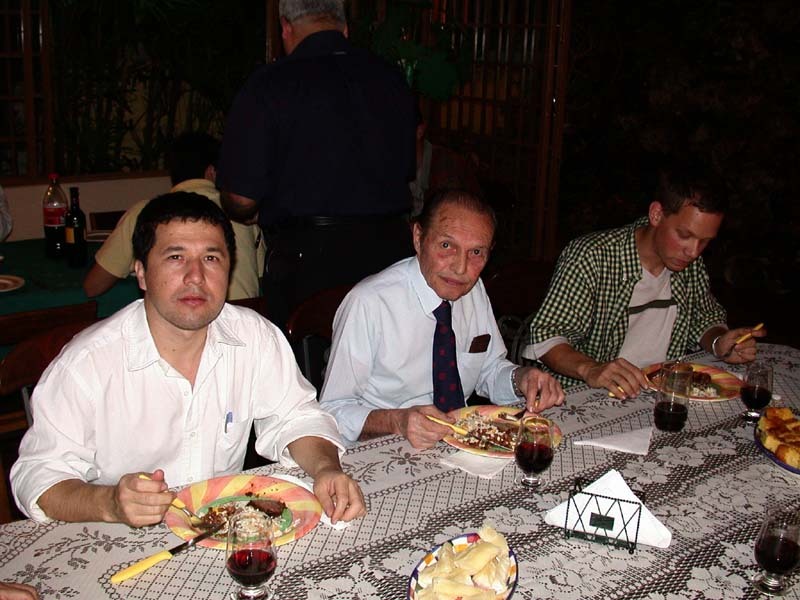 Dr. Persio da Silva, member of the Paraguayan Academy of Sciences, crucial person of our visit. His care was outstanding. It is a pity we had no time to visit his ranch in Chaco. Arch. Antonin Chytil. 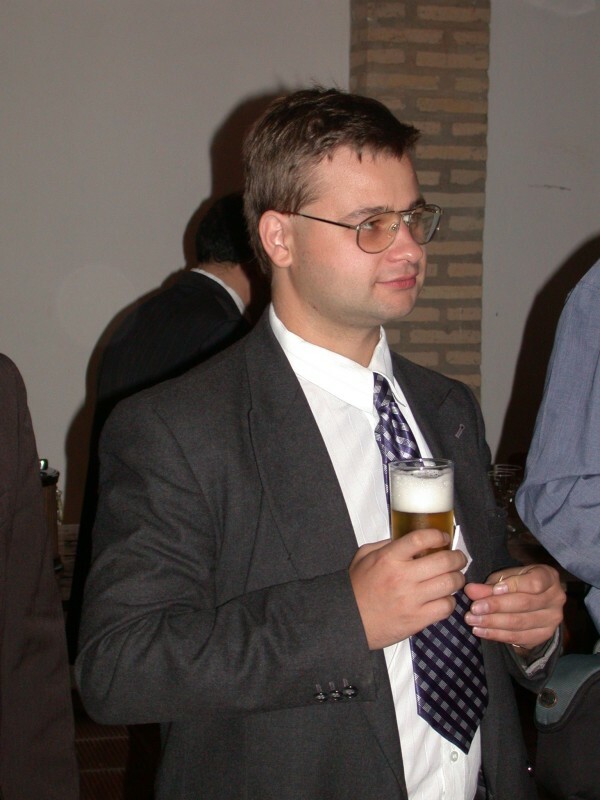 Leading personality of the Czech Community in Paraguay. Parents of Mr. Chytil come from Brno and Znojmo. Both Mr. Chytil and his sisters speak Czech language very well. 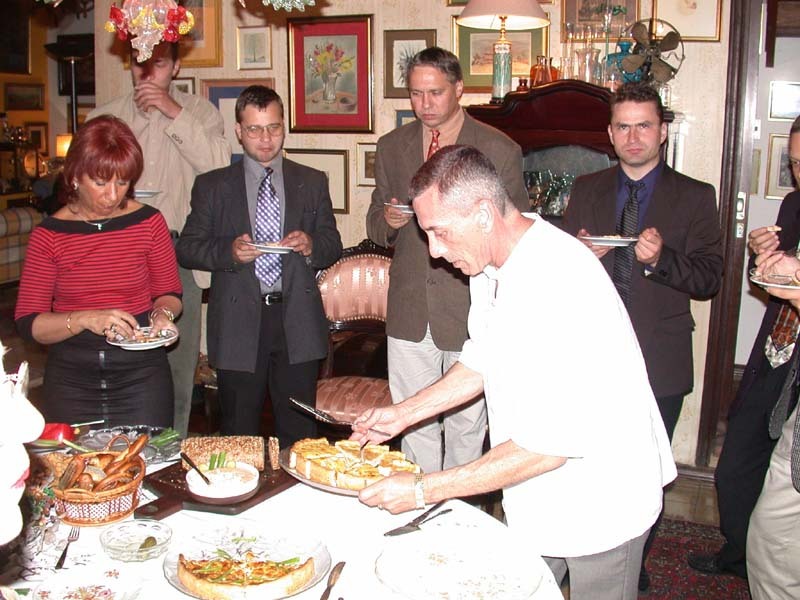 With pleasure we accepted invitation to the reception in Mr. Chytil residence. 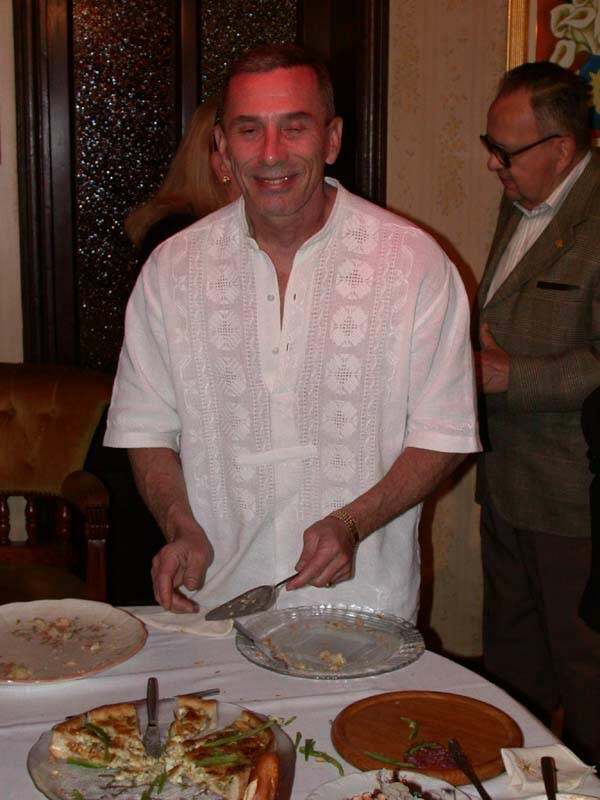 Reception in the Mr. Chytil residence. 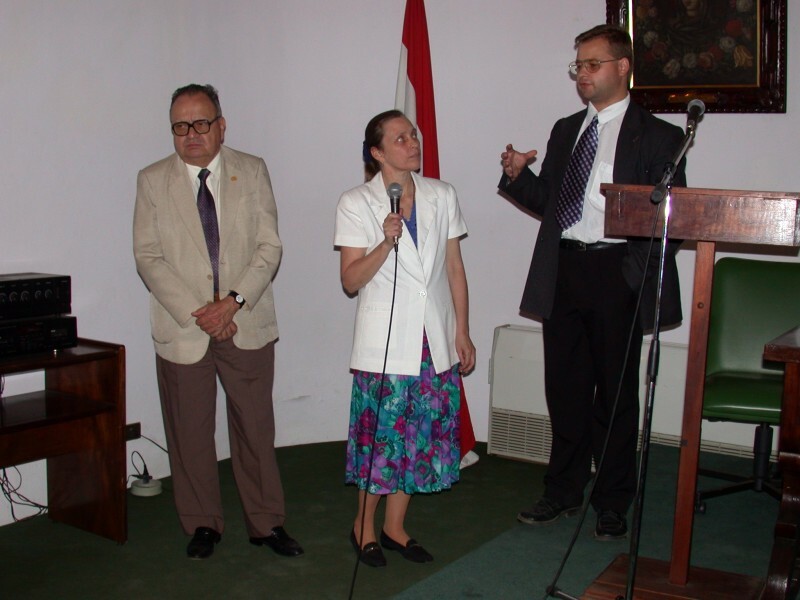 From left: wife of prof. Servin, Jacob, Peter, A. Chytil, John. Reception in the Mr. Chytil residence. 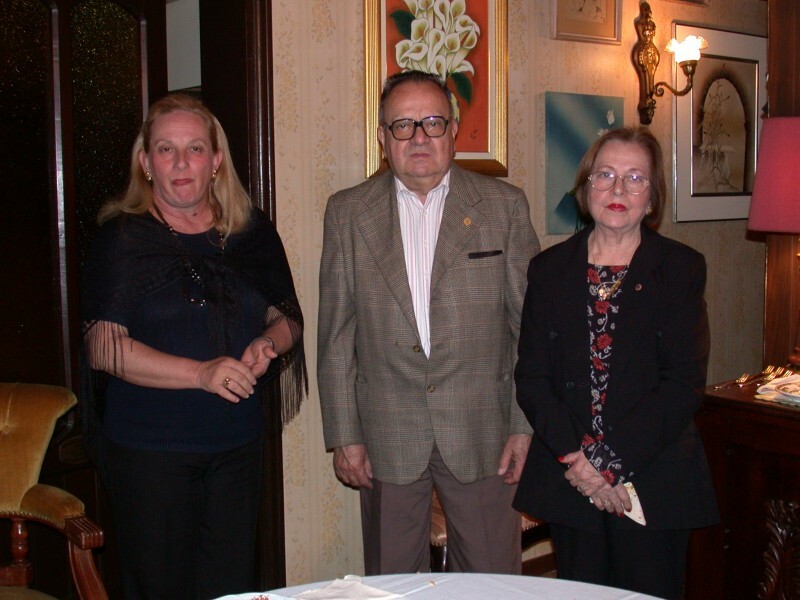 From left: Owner of the private collection of interminable value, sister of A. Chytil, prof. Blas Servin and his wife. 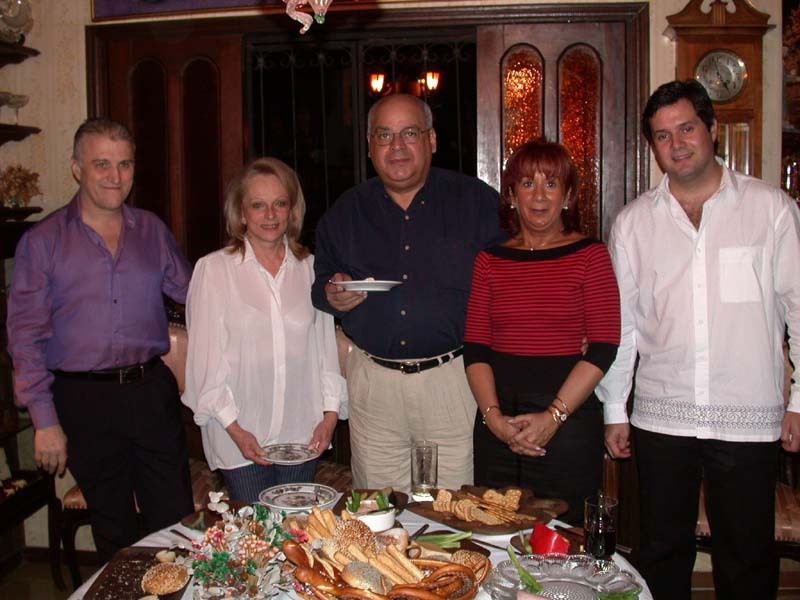 President of the Paraguayan Academy of Sciences with his wife (right) and sister of Mr. Chytil (left). In front of the house with private collection. 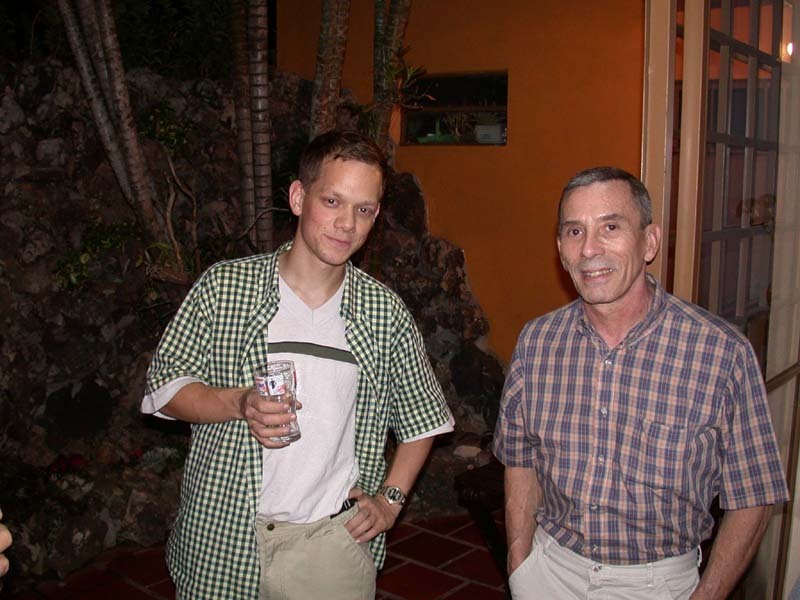 The owner of the collection on the left. The refreshment was served by a tiger with white gloves. Press conference in the prof. Blas Servin residence. 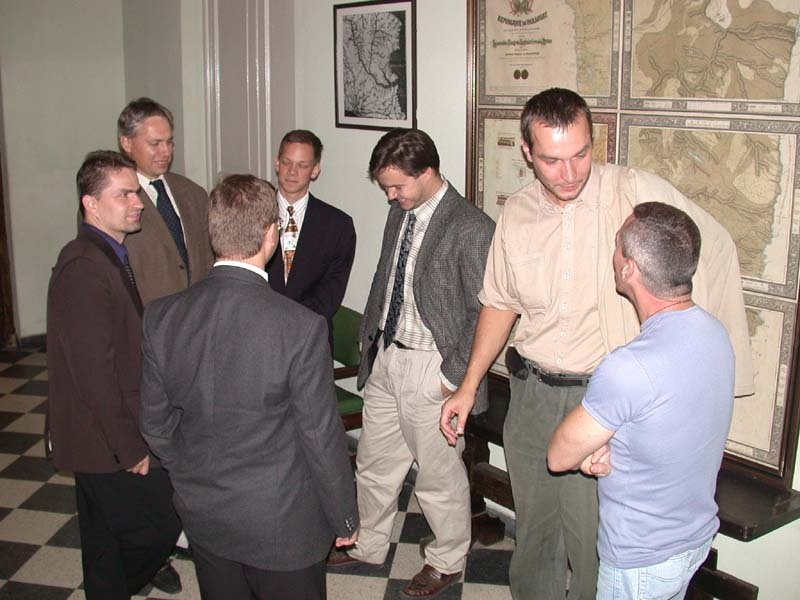 It is a pity we had been invited for a grill and the press caught us in informal clothes. 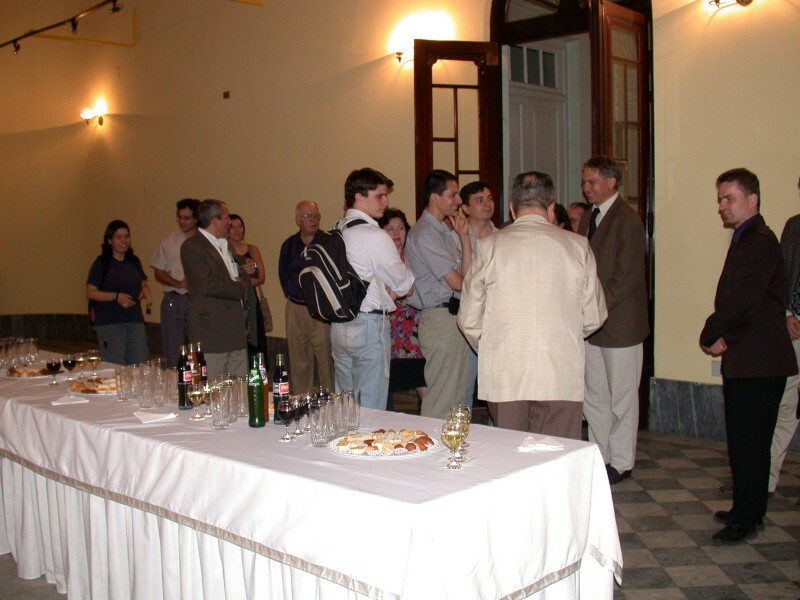 Reception in the prof. Blas Servin residence. 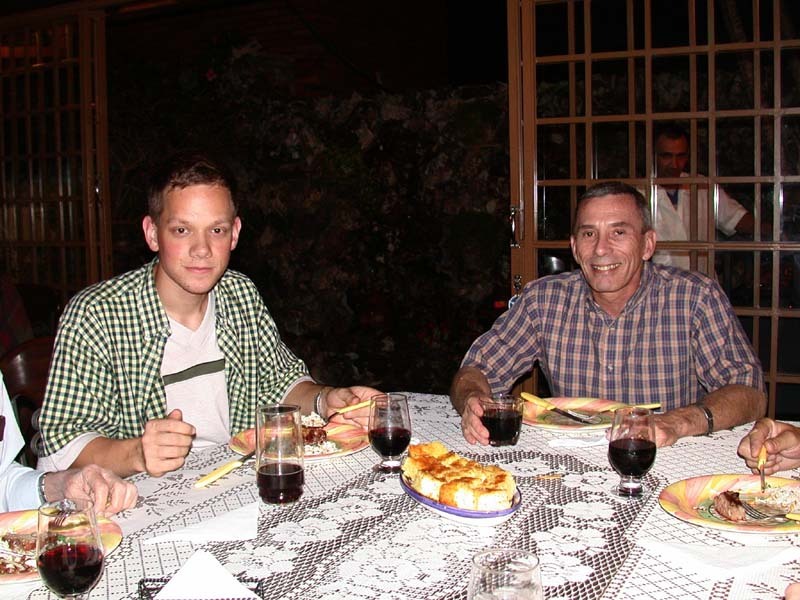 Charles eats an underdone bloody steak. 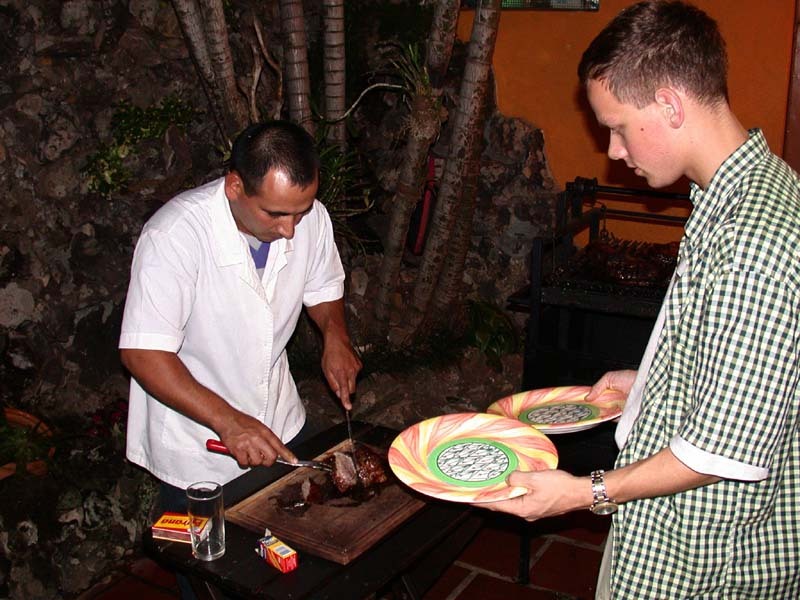 Reception in the prof. Blas Servin residence. Charles discusses with Arch. A. Chytil. 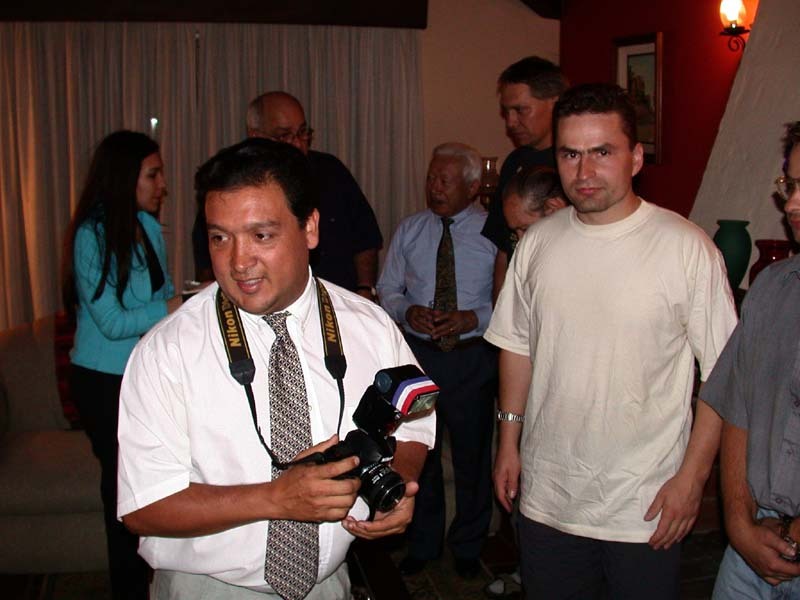 Reception in the prof. Blas Servin residence. 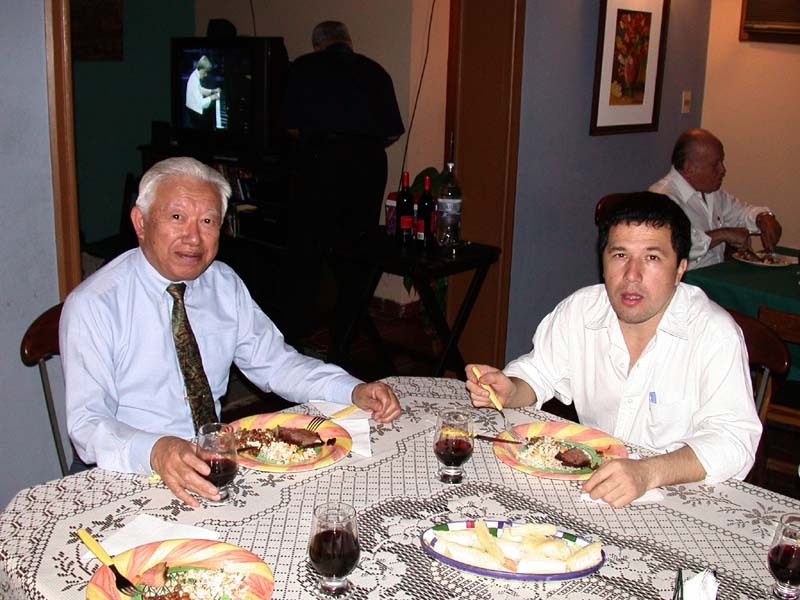 From left: representative of the press (newspapers ABC), Dr. Persio da Silva, Charles. 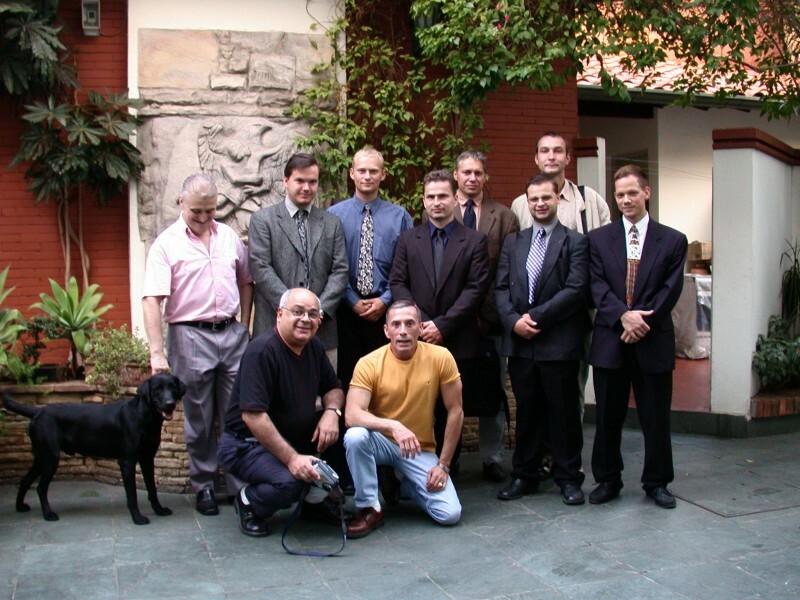 Reception in prof. Blas Servin residence. 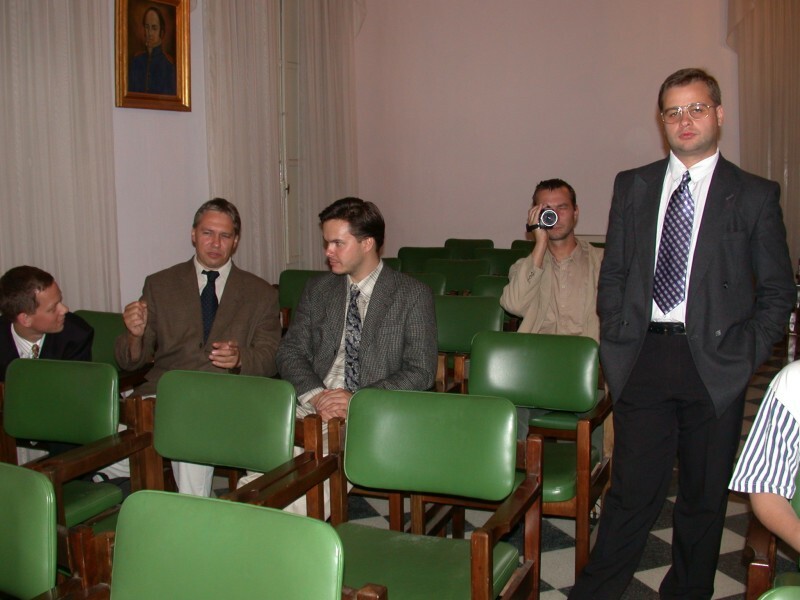 Prof Fuji on the left, representative of the press on the right (newspapers ABC). Scientific discussion. Charles and Arch. Chytil in prof. Blas Servin residence. 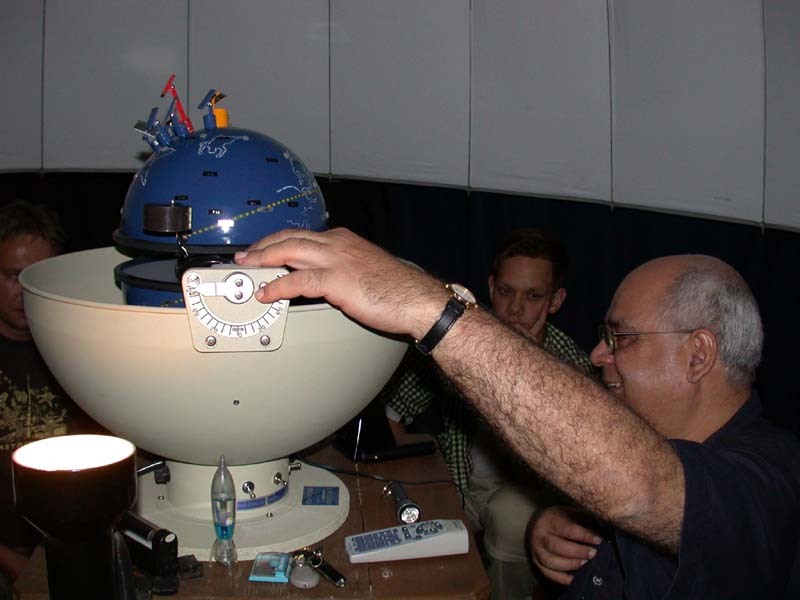 Small planetarium owned by prof. Servin. 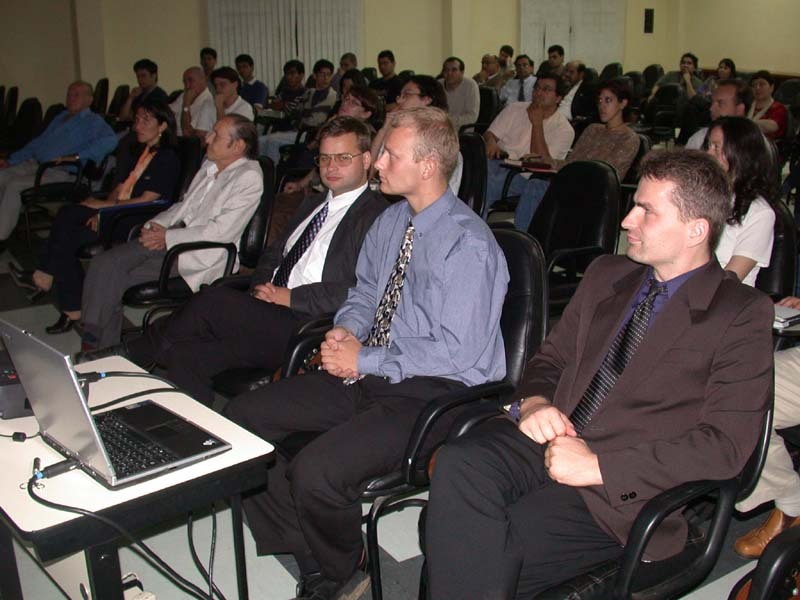 It is used in his lectures for students and public. We viewed several first-rate astronomy films. At the rector's cabinet. 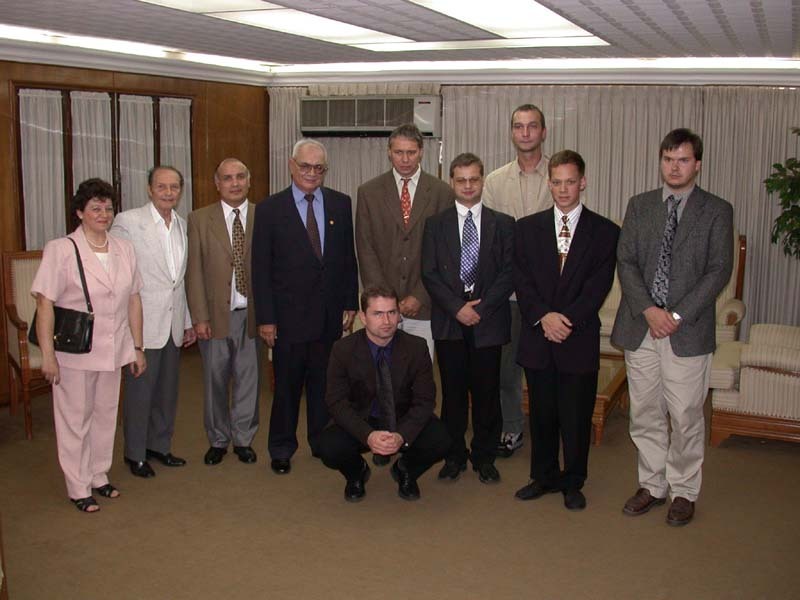 Rector of the Universidad Nacional de Asuncion is fourth from the left, dean of the Polytechnic Faculty third from the right. Sight-seeing of the Polytechnic Faculty. We saw campus and several computer rooms. 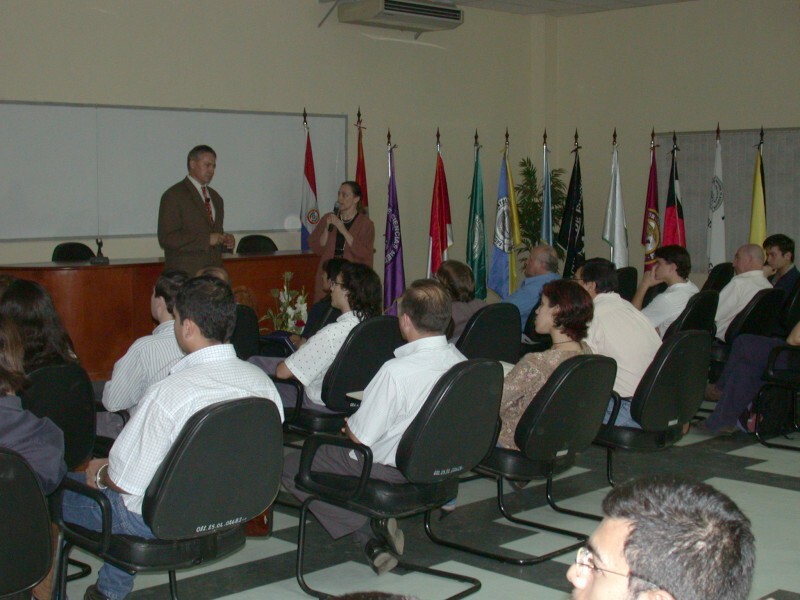 Discussion with the head of the Department of Informatics. 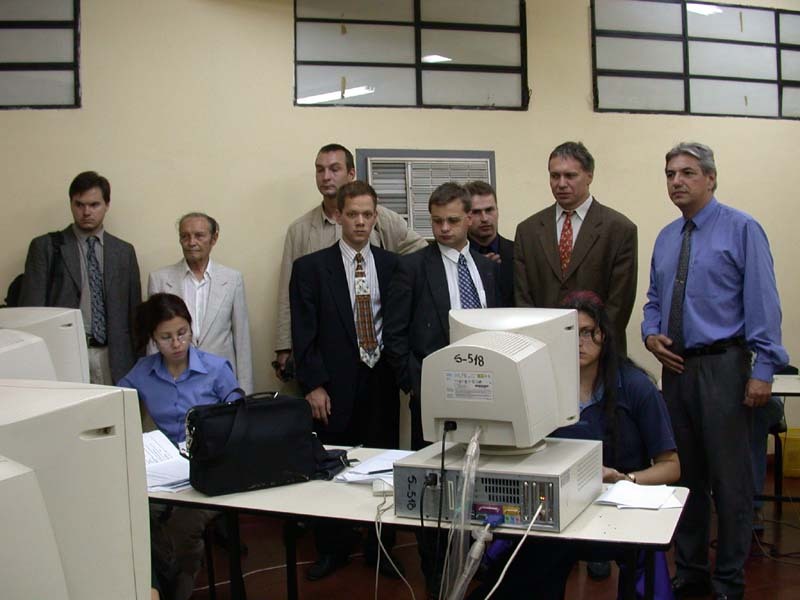 In computer room. 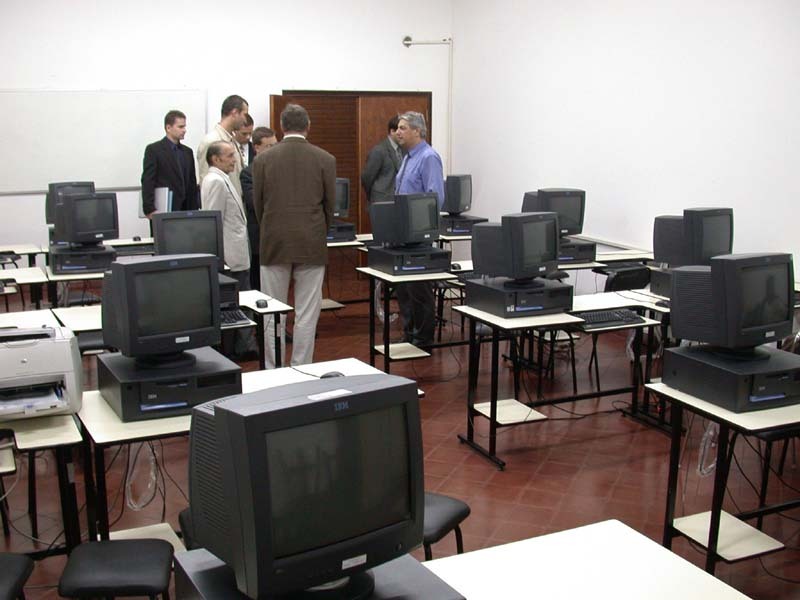 Another computer room furnished with the IBM computers in black color. The keyboards were also in black. 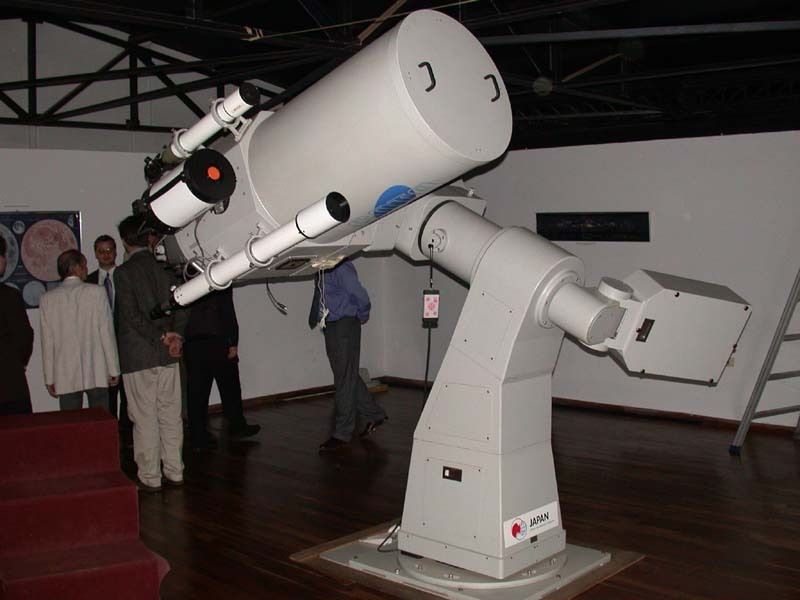 University observatory is equipped with 45 cm Japanese reflector. University observatory - in dome with a sliding roof. 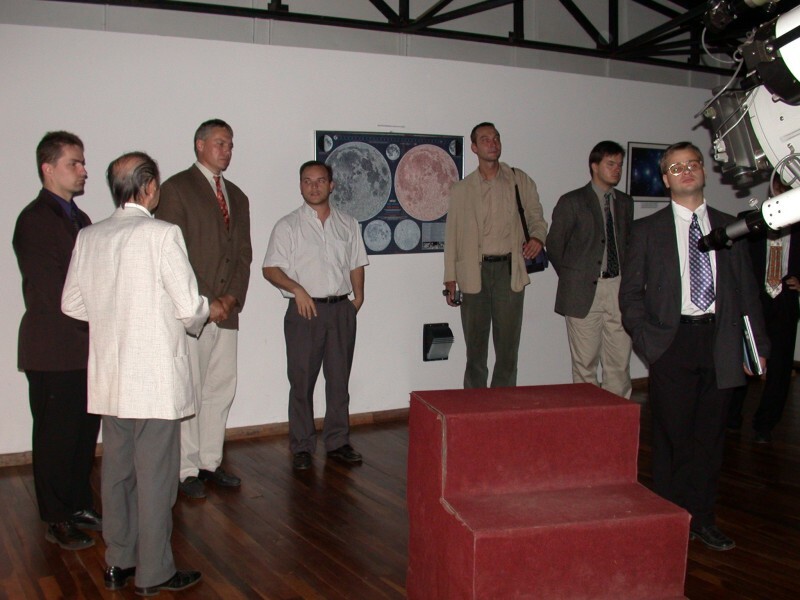 Map of the Mars manufactured by Czech astronomer A. Rükl can be seen on the wall. Another glance at the telescope. 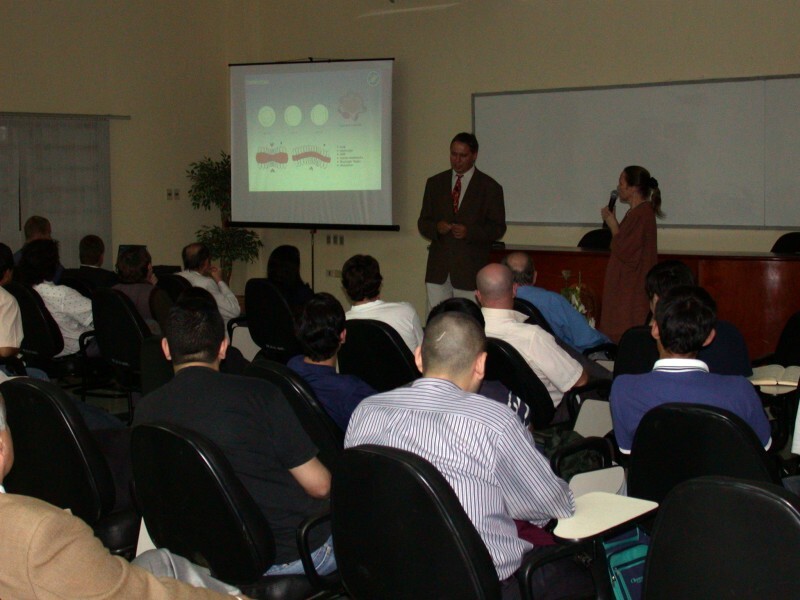 Peter's lecture on plasma physics and polar lights. 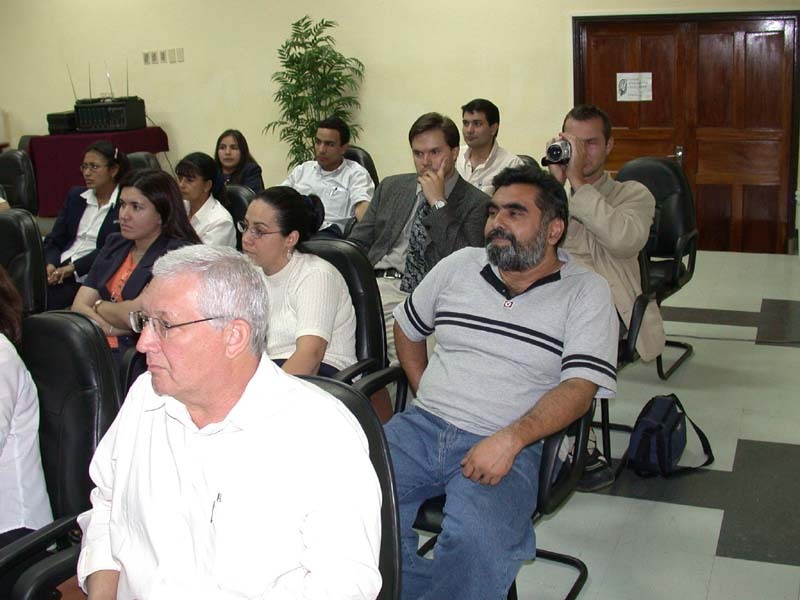 The lecture was translated from English to Spanish by professional translator interrupting Peter in the most unsuitable points. 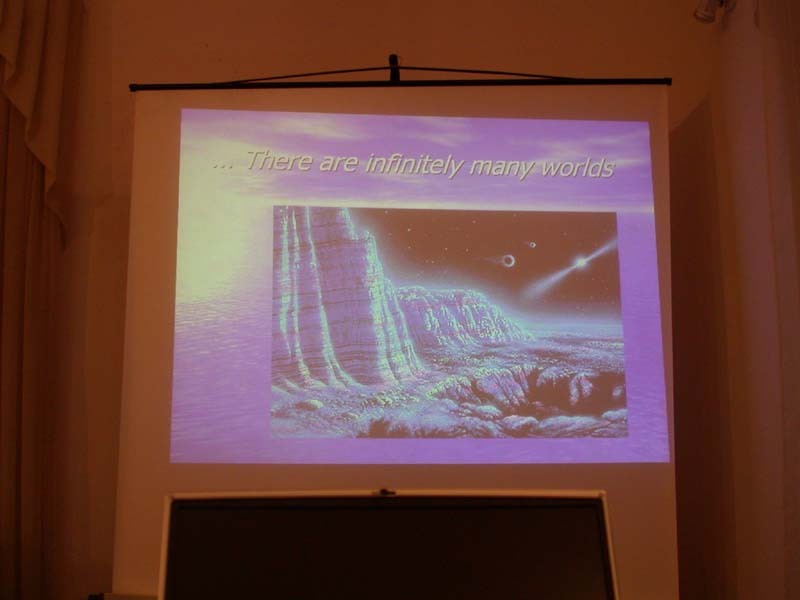 From the Peter's lecture on plasma physics and polar lights. From the Peter's lecture on plasma physics and polar lights. From the Peter's lecture on plasma physics and polar lights. 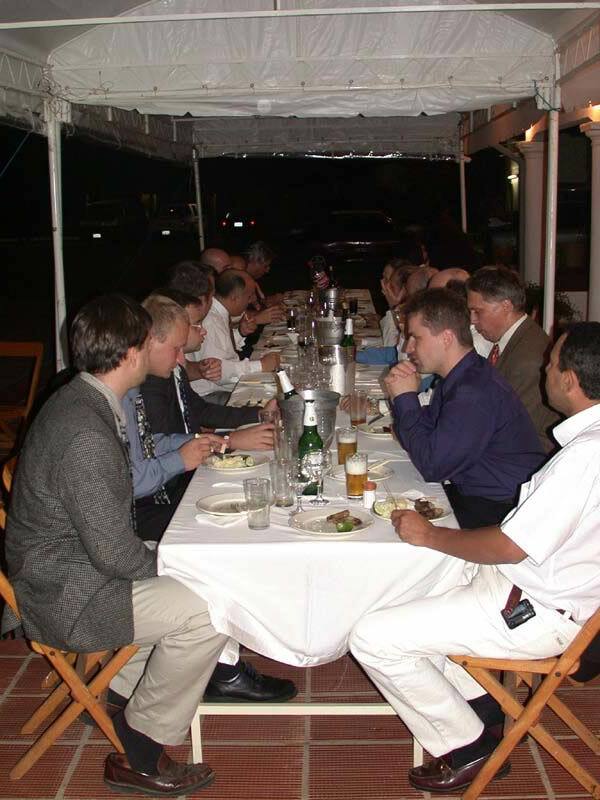 Toast and grill organized after the lecture by the Polytechnic Faculty. An outstanding discussion about plasma and physics expanded. Toast and grill organized after the lecture by the Polytechnic Faculty. Toast and grill organized after the lecture by the Polytechnic Faculty. Foyer of the Academy of Sciences. Jacob prepares his lecture about brown dwarfs and extrasolar planets. Jacob just before the lecture. 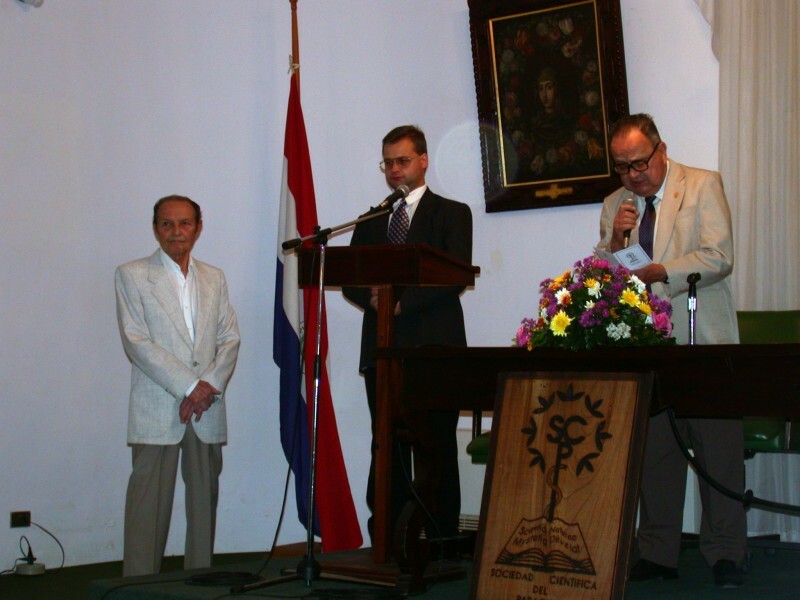 Ceremonial introduction of Jacob by the president of the Paraguayan Academy of Sciences. Fascinated listeners. The same translator like in Peter's case, the same method of translation. Interrupt the lecturer in unwelcome point. A discussion about the technical terms with the translator sometimes occurred. Final slide of the Jacob's lecture. Toast and discussion after the lecture.